This is the kids’ 3rd consecutive year running in the NTUC Income run. Previously known as NTUC Income Run 350, the run has been renamed Income Eco Run to step up the ante on bringing runners closer to the eco-friendly agenda. The call to action for 2017 is to run towards “zero waste”. Located at the F1 Pit Building, the kids gave their best and ran their hearts out. J as the oldest in the group of 4-8YO category, came in strong as 1st in the first wave while mummy plodded along with E behind. A gave his best in the 9-11YO category coming in with the beginning lot. During the run, E fell down and cried in pain. I held her hand and encouraged her citing how another boy (who happened to be Finally Mama’s kid) had been pushed and fell but he bravely continued onwards in between sobs. She then nodded, stopped crying and plucked up courage. Soon, she was on her own in front of mummy finishing on her own! The race was well organised with aplenty of reminders from the Emcee that safety comes first and to avoid pushing others. This time round there were several waves before the next category started. Parents had wristbands for each child participant to ensure safe reunion with kids. There were less cups used as we were encouraged to bring our own refillable bottles to obtain water from them. 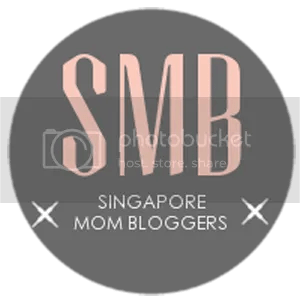 We also had fun meeting up with fellow singapore mom bloggers (Christy from Kids R Simple and Mei from Finally Mama) and looking out for each others’ kids along the way! This year’s Eco Run 2017 did not disappoint in their mission towards Zero Waste. The message started to ring during the race pack collection day. It was a great effort gathering many localised companies to spread the eco lifestyle. There were close to 30 vendors together, forming the largest Farmers’ Market that has been organised in conjunction with a running event. The Income Eco Run Farmers’ Market had vendors such as Edible Garden City that grows organic vegetable produce, Husk’s Ware, a company that sells only sustainable wares, and an eco-friendly clothes retailer, Zhai. What I like about the market is the fact that more people are actively doing a part in making the world a more sustainable place to live in. A lot of them are young Singaporean adults starting up on their own an eco way of growing and preparing things. They were also generous in their sample servings to feed us. I like the innovative rocket leaves topped lavishly on kung bah bao to promote their greens by Citizen Farm. It is marvellous that huskware Utensils leave the world as a bio degradable product waste! I got the flavourful twists of amazin’ graze green matcha goji granola mix, and listened to a hip hop guy who patiently explained about his organic dark chocolate from Australia. It was on par with godiva in my opinion. I learnt aplenty over here and gave myself some treats too. On the day of the race, it was refreshing to see how the waste collection centre had been clearly labeled for disposal. There were volunteers wearing gloves and using tongs to collect remnants of litters along the way or sorting out the rubbish. I was impressed that after our race one lady directed us to dispose our safety pins into another bag at the side for recycling. Thank you Ecorun for showing the way to Zero Waste! Let’s do our part too! Disclaimer: We were given 3 complimentary race slots for the purpose of the post event review. All photos belong to GrowingHearts123. All rights reserved. Unless otherwise stated, you may not use it without permission. Next Have Faith in Missing Out?